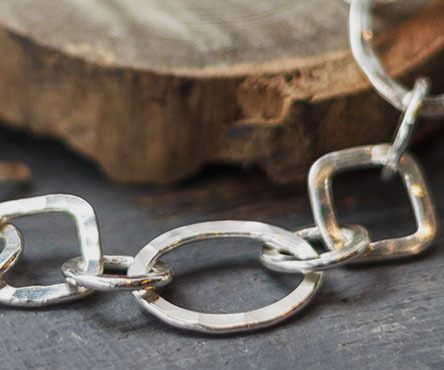 Established in 1995 in Edinburgh by husband and wife team, Ariel and Annie, Annie Smith is a delightful and reputable jewellery studio located in the sophisticated and bohemian Stockbridge area of Scotland’s capital. 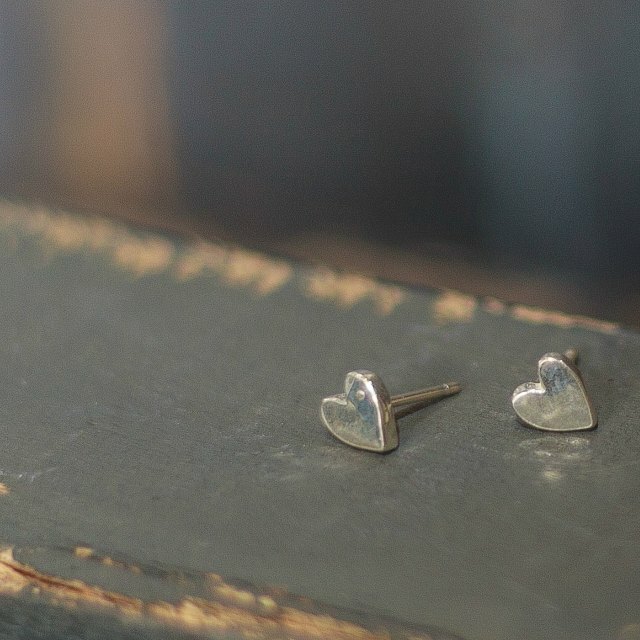 Little studs in hammered sterling silver. 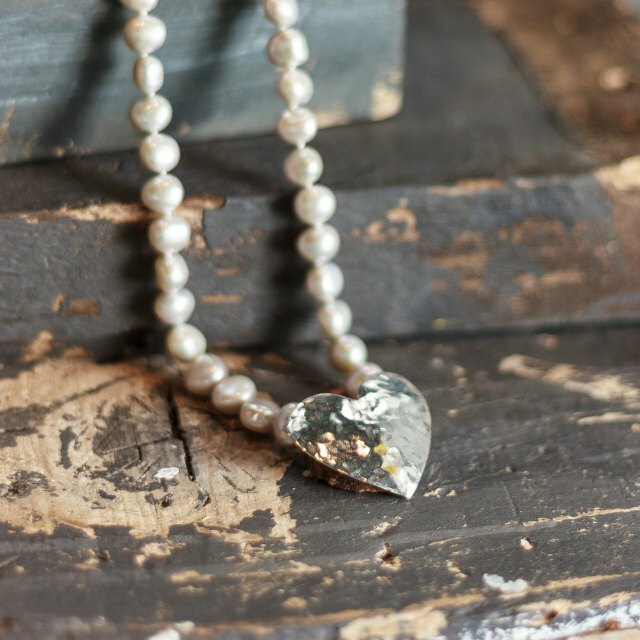 Flat, hammered heart strung with freshwater pearls. 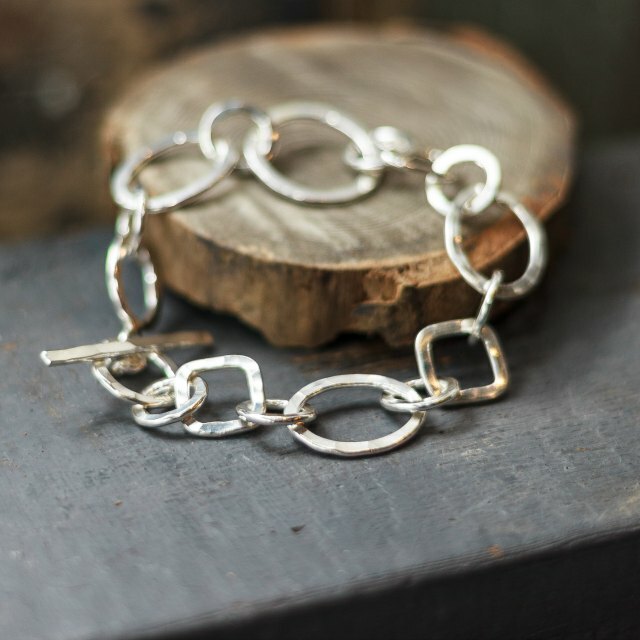 Heavy chain of handmade hammered links. 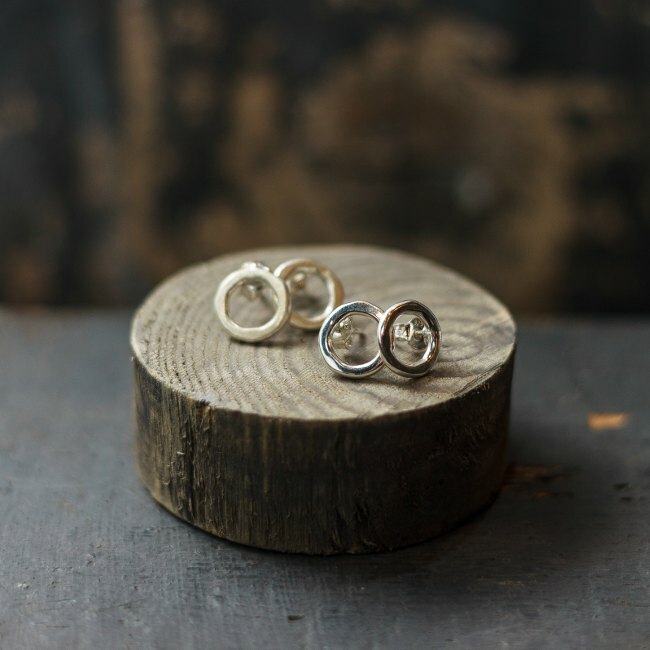 "You always need to be sparkling, even after 16 years."